Life Eternal: Is it the Quantity that Matters, Or is it the QUALITY? In John 14:6 Jesus said, “I am the way, the truth, and the LIFE”: This life Jesus mentions is eternal, and that’s what we usually focus on, isn’t it? John 3:16 says that whosoever believes on him has everlasting life. It captures our interest because it is immortal and incorruptible. It will be everlasting. For many people, Christianity is an eternal insurance policy because it offers the possibility of living after death, and who doesn’t want to live forever? But to me, that’s not what makes Christianity so compelling. In John 10:10 Jesus describes not a quantity but a QUALITY of life: “I am come that they might have life, and have it more abundantly.” This type of living begins NOW, not when we die. It is yours now, in the midst of a dying, broken world. It’s a lifetime free from worry, fear, death, prejudice, injustice, hopelessness, and selfishness. It is living within the possibility of joy, peace, faithfulness, forgiveness, and love. Eternal life does not erase the realities of a fallen world, but it creates new realities about how we live within it. In times of doubt, I’ve often looked at Christianity that way. What if it is all made up? What if there’s no heaven, no eternal existence? Well, for my money the values that Jesus taught still offer a better life than everything else. Even if Jesus didn’t live on earth and die (although we know he did) and even if he was not resurrected (although the evidences strongly suggests he WAS), then it would STILL be worth living a Christian life that offers love, service, peace, and comfort. In Puddleglum’s words, the qualities of the Christian life “lick the real world hollow”. The world calls you to anxiety, stress, and discouragement. It offers you temporary pain and temporary solutions. Jesus came so that your life could be abundant. From all that’s around you, choose abundance today. You might just find it. To think: was longer life his aim? Or life that’s more abundant? Is life that’s lived abundantly and characterized by quality. Jesus said, “I am the Life”, and then He came to give it. For those of us who follow him, our job is just to live it. During Job’s discourse with the Almighty, God reminds him of the nature of the universe. We have boundaries and limits; God doesn’t. We think in terms of dimensions; God transcends them. It is that way in the physical universe we touch, see, and inhabit, and it is that way in the spiritual dimension that inhabits us. We are made in God’s image, and whatever passions, values, and emotions we experience are reflections of Him–although as Paul points out in 1 Corinthians 13, we see them incompletely in this world, as though “through a glass, darkly.” In that chapter Paul acknowledges the importance of knowledge and giftedness, and discusses the importance of hope and faith, all of which could be considered as the deep things of God, and reflections of his character. He ends by saying this (v 13): “And now these three remain: faith, hope and love. But the greatest of these is love.” The end of theology is not proofs or precepts, and it is not about knowledge or discourse: it is about the way GOD LOVES YOU. 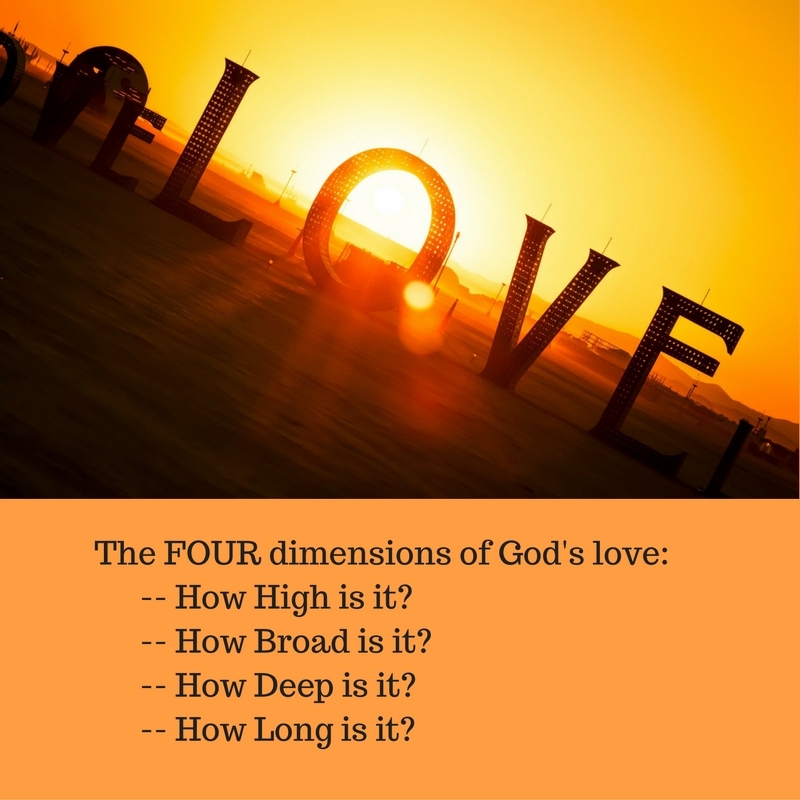 Have you really considered the depth of God’s love for you? Take a moment and reflect. Do you feel loved today? You should. God loves you for who you are, and who you were meant to be. He loves you consistently, relentlessly, passionately, completely—enough to send his own Son to experience death on your behalf. Bask in God’s love today, and remember that it’s higher, deeper, broader, and longer than you can imagine! How big is love? How strong, how tall? Do we see love as far too small? Could love be bigger than we thought? Romance and passion, all redeemed! And feel it in His warm embrace. 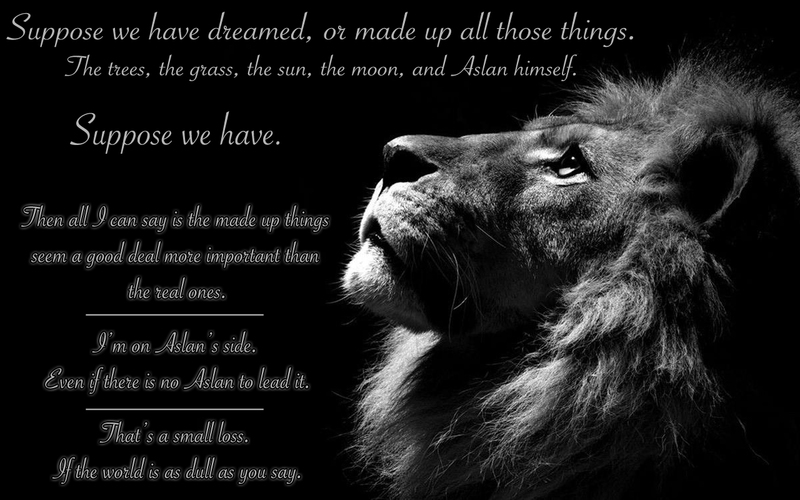 That in Him, we are made complete. 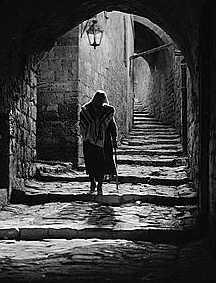 It has often been speculated that Nicodemus went to Jesus at night because of the risks involved. If the ruling council saw his actions as supporting or endorsing Jesus, it could have had serious consequences for him. Nicodemus could have been thrown off the council, or at the very least endured criticism and persecution. On the other hand, perhaps he went at the council’s request, and was there as an intermediary to try to get a fix on Jesus and report back. But the fact that he went at night suggests that he was avoiding public scrutiny, and was not there on behalf of the council. If that was the case, then he was risking ostracism, persecution, and the loss of his social (and vocational) position in Jerusalem. Since he took such a huge chance, perhaps he was just an honest man seeking the truth about Jesus. Whatever his motives, this became arguably the most quoted and pivotal conversation in all of human history. It certainly contains perhaps the best-known and most quoted Bible verse. From this brief encounter we get “born again” (v 3); “that which is born of the flesh is flesh, and that which is born of the spirit is spirit” (v 6); and the fact that the Son of Man must be lifted up (v 15). And from this brief conversation, we get this: “For God so loved the world that he gave his one and only Son, that whoever believes in him shall not perish but have eternal life.” (v 16). If you’ve never read that verse before, read again and think about what it means. It’s the verse everyone knows, and the most quoted verse in the Bible. It rocked Nicodemus’ world, and it changed his life. In John 7 he subtly advocated on Jesus’ behalf in the Sanhedrin. We see Nicodemus again in the terrible aftermath of the cross, helping to take down Jesus body to prepare it for burial (John 20:39). This conversation obviously meant something to him. The real question is, however: what does it mean to YOU? Secretly, he stalked the truth in silence. Should this conversation even start? What would happen to him if they knew? What penalty awaited him if they found out? Should he be here? Or run? What should he do? And Jesus smiled and said, “Come in, my son”. 2 Peter 3:9 says, “Instead he is patient with you, not wanting anyone to perish, but EVERYONE to come to repentance.” God’s love is as wide as every person who ever had a choice. How deep is it? It is so deep that God spared no expense and paid the ultimate price to extend it. He gave his ONLY begotten son. Salvation is free but it’s not cheap. It cost God his Son; it cost his Son his life. “Greater love has no one than this, than to lay down one’s life for his friends.” (John 15:13) God is not an automaton without feelings or emotions, and yet the loving, jealous, passionate God allowed His Son to experience the cross in MY place. Read that sentence again. Seamlessly together for eternity past, they separated. The only perfect and unified force in the universe tore itself apart for us. Without any guarantee apart from their own character that everything would go as planned, Christ died. That, my friends is DEEP. How LONG is it? The verse concludes with, “So that whoever believes in him should not perish, but have EVERLASTING life!” How long is THAT? There was a song from 1957 by Johnny Mathis where he said he would love his girlfriend “until the Twelfth of Never. And that’s a long, long time.” EVERLASTING is longer than that. A thousand, ten thousand years from now, we will all be somewhere, perhaps remembering when we first opened our hearts to the four dimensions of God’s love. I hope that you and I will be still be experiencing those four dimensions, and we will just be getting started. 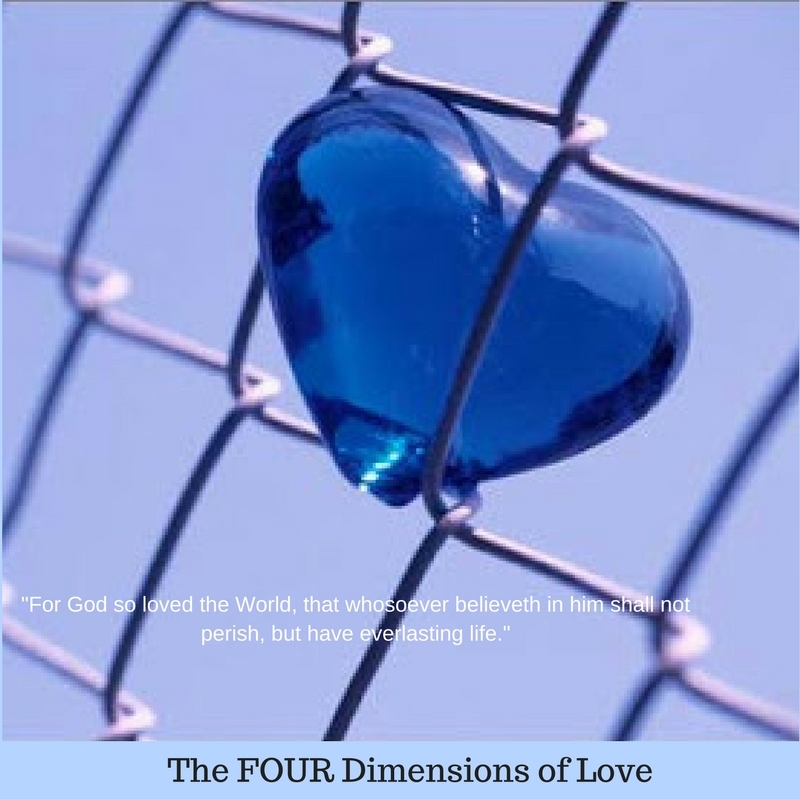 There they are: John 3:16, the four dimensions. You are welcome. It changes who you are inside, and ultimately you become His bride-- And not just you but everyone who believes, receives, Yes every. One. It's as wide, you see, as Calvary, and that's how it was done. He sacrificed His only Son for us. His love is deep. The love that's higher, wider, deeper than these words can say.